Do managers miss the sweet-spot of remote working? Organizations often find themselves struggling with a dilemma: The need for employees working remotely, often from home, is at rise for many business reasons that include cost savings and the competition over attracting and retaining top talent. On the other hand, many managers have a hard time allowing their staff to work outside their proximity and direct supervision. Their reasons often include the fear of change introducing the unknown but also a certain cluelessness of how to effectively manage a remote workforce and moving beyond their personal comfort zone. These conflicting drivers open a tension field that organizations tend to struggle with. – Does this sound familiar to you? Unfortunately, there is no ‘silver bullet’, i.e. a one-size-fits-all solution that works for everyone and in every environment. Too much depends on the nature of the work, necessary interactions and communication between team members as well as the jobs and personalities involved. It takes a close look at the individual organization to craft a remote working program that fits an organization, maximizes collaboration at a measurable performance level. Telecommuters show increased commitment to their organization and experience more work-life satisfaction over the non-telecommuters group. No differences between both groups though on job satisfaction and turnover intent, i.e. how likely employees are to leave the company. On a side note, the latter two findings are quite different from my own professional studies and experience, where employees working remotely reported a 57% increase in work-life balance. Increasing workplace flexibility including remote working, i.e. giving the employee more control over their schedule and location, became a driver also for employee attraction and retention. – What are your experiences? Do you see remote work influencing job satisfaction and employee retention? Please comment. Interestingly, the study explored also ‘personalities’ and found that more extroverts tend to be telecommuters, so people with a higher drive for social interaction and communication rather than the quiet ones. This appears conclusive in the light of the simple finding that (a) telecommuting in many companies is not implemented consequently but rather as an “idiosyncratic deal” between individual supervisors and employees. (b) These supervisors prefer granting permission to telecommute to high-performers. This can explain a pre-selection of extroverts over introverts, who may not show up on the supervisor’s radar as much and therefore tend to receive less remote working opportunities. Generally, teleworkers commute from farther away. They find commuting more stressful and want to avoid rush-hour traffic. Less surprising, telecommuters were interrupted more by family members given their physical presence at their off-site work location. This seems to suggest that working-from-home could be less effective than working in the office given more family interruptions. My own observations are quite different and based on a controlled pilot project which showed that the workers in the office feel distracted by their colleagues stopping by randomly; the workers preferred working from home when they needed focus and want to avoid distractions calling this their most productive work time. Disruptions occur at home as well as in the office. It is the employee’s responsibility and best interest to ensure a professional work environment at their home-office so not to jeopardize their work results. Consequently, also performance needs to be measured by results and not physical presence. This levels the playing field and allows for fair comparison between all workers independent of their working location and distractions. In the triangle of telecommuters, supervisors and Human Resources (HR) practices the telecommuters generally view the organization differently from non-telecommuters. Most telecommuters perceive technology training is available to them and that the organizational reward system as well as their supervisors was supporting telecommuting. Telecommuters also believe that there is an underlying business requirement that drives working remotely. Once again we see that a level playing field is viewed as an important success factor for effective teleworking. Technology serves as enabler that makes teleworking possible in the first place and connects coworkers across remote locations. Offering remote working not only becomes a business necessity but also addresses increased expectations of the modern work force to telework powered by ever improving communication and collaboration technology. Now, the telecommuters in the study seem to understand the changed business environment that pushes organizations to open up to flexible work arrangements for competitive reasons including cost savings as well as employee productivity and retention – the supervisors ‑apparently‑ did not ‘get it’. For most of us the times are over where workers came to the factory or office only because the resources needed to accomplishing the work were concentrated in a specific location and could not be distributed (think early typewriters, heavy production equipment, incoming mail and so on). For a growing services industry these limitations no longer exist – yet this out-dated paradigm remained present in the minds of many. People tend to have a certain picture in mind what work ‘looks like’ and where it has to happen which comes down to an office with everyone present from 9am to 5pm. From the supervisors’ perspective things look different than for telecommuters. Over 50% of the supervisors of telecommuter believe “that employees have to be high performers”. This view is shared by only 37% of the non-telecommuting supervisors. The MTI study phrases this barrier kindly as “challenges and obstacles emanating from attitudes of individuals in the organization”. The obstacles to implementing an effective telecommuting model often originate from management itself or even the Human Resources department tasked to make a policy. The reasons for resistance can be multifold and include a lack of better knowledge, fear of change such as losing perceived control, lazy avoidance to probe outdated beliefs or taking a one-size-fits-all approach without evaluating the specific environment. I even experienced the paradox of managers believing they can work from home just as effective as from their office desk and making use of this flexibility at their convenience while not trusting that their staff could be similarly effective or was trustworthy enough just as much. They see remote working being a ‘perk’ for their staff reserved for ‘top performers’ who deserve it – a double standard is being applied which is often enough based on murky or questionable criteria (if at all). These managers show a sense of entitlement while ignoring that (as the MTI study confirms) remote working increases employee satisfaction and commitment which tends to increase also performance; as an example, performance increased by 30% in the department I manage. Some managers fear they may lose ‘control’ and that their staff may abuse the newly acquired freedom to control their schedule and work location. This ‘control’ is often based on the deceptive perception that staff works ‘better’ and is ‘under control’ when confined to an office location and ‘eye-balled’ by the supervisor. More effective is the consistent application of measurable and pre-defined goals that demonstrate unambiguously, transparently and quantifiable whether an employee met the goal or not – independent from their schedule or work location. In practice, managing-by-performance showed more effective to distinguish effective performers from under-performers than a manager looking around the office space and hoping the staff is performing just by their mere presence. Address manager concerns and prepare management with adequate training and guidance. Strictly managing-by-performance by setting clear expectations and exercising transparency. Overcoming ‘old thinking’. Questioning ones habits and beliefs to approach with an open-mind new or different ways of working. Include your staff to come up with ideas on how to make it work. Diversifying and mastering the spectrum of communication channels. Choosing and using the media preferred by the staff to communicate effectively and efficiently with employees. If this includes peer-to-peer video, instant messaging or texting (SMS) then learn to master these technologies. Limit face-time for confidential or sensitive topics that should better not be communicated electronically; don’t abuse face-time for routine communication. Most of all, mutual trust is the key component in the critical relationship between manager and employee. This can be the hardest to build. For managers, taking some temporary measures can prove helpful to establish a trustful working relationship with their staff; for example, start with documenting and reviewing weekly performance plans together with the employee until the manager develops more trust and is comfortable with exercising less timely supervision. Author Stephan KlaschkaPosted on November 17, 2010 February 21, 2011 Categories Human Resources, Management, Remote WorkingTags business case, business strategy, change, Human Resources, management, metrics, remote working, retention, talent, trust1 Comment on Do managers miss the sweet-spot of remote working? Yammer.com is a micro-blogging platform which allowed our NxGen ERG to reach out to employees and engage them in a new way for our company. Here is what we did and how it worked for us. – Note that my good friend and co-founder of our NxGen ERG, Dr. David Thompson, wrote this article when he was invited to guest blog on Yammer.com directly! The proposed business model for ERGs forms a foundation for continued innovation, strategic alignment and measurable results. It turns an ERG into a true and sustainable business resource for its members as well as the hosting organization. Summary – The increasing diversity of employees at the workplace led to employees gathering along affinity dimensions like birds-of-a-feather to form networking groups within organizations. The next step goes beyond affinity and establishes employee resource groups (ERGs) strategically as a business resource and powerful driver for measurable business impact and strategic innovation bottom-up. Employee resource groups (ERGs) emerge for various reasons. They tend to start with a social underpinning that naturally unites and organizes like-minded employees. ERGs come in different flavors mostly along the traditional lines of diversity characteristics such as ethnicity, skin color, age, gender, physical (dis)ability, sexual orientation, military veterans, etc. For ERGs, a ‘social stickiness’ is important and can be the key integrating factor of employee populations within organizations. It may also influence the choices of ERG goals and activities to a large extent. This may result, however, in possibly limiting the ERG and its members to be seen as a ‘social club’ of sorts by others. Management, in particular, may not see the direct (or even indirect) positive business impact that an ERG can have. This is where ERGs can fall short: when they fail to tie a strong business-focused bond that ensures continued support by leadership that in return ensures the ERG can sustain and proper for the better of its members as well as the hosting organization. From a management perspective, ERGs can provide social ties within the workforce that are mostly seen as favorable ‑ at least as long as it does not affect the employee performance; whether perceived or real. Better off is the ERG that demonstrates an unambiguous contribution to the bottom line. A clear business value proposition sets a solid foundation that makes it easy to communicate with and convince executives securing their continued support. The company benefits from positive business outcomes as a direct result of the ERG activities, while it engages employees broader and deeper. This uses more of the employees’ true potential to ‘maximize the human capital’ as an important element also of employee engagement, development and retention. This approach serves not only the company but has advantages also for its employees and the ERG in return. The ERG members benefit directly in many ways such as by interesting work outside the immediate scope of their job, by developing new skills and by increasing their visibility within the organization and continued ‘employability’, i.e. their personal market value as an employee. So what is the key to success, how do you ‘build’ an innovation-driven and business-focused ERG? My proposal is to establish the ERG as a self-propelling and sustainable system, an ongoing process that continues functioning quite independently from changes in the ERG leadership and consistently delivers innovations. Individual leaders are important for operations and make valuable contributions, but the ERG must be able to continue functioning even if key players become unavailable and replaced. To illustrate the model and making it more tangible I use a generic example. It is based on NxGen (for Next Generation at the Workplace), a generational-oriented and business-focused ERG that I founded. NxGen was recognized in early 2010 as a best-practices approach by the National Affinity Leadership Congress (NALC). 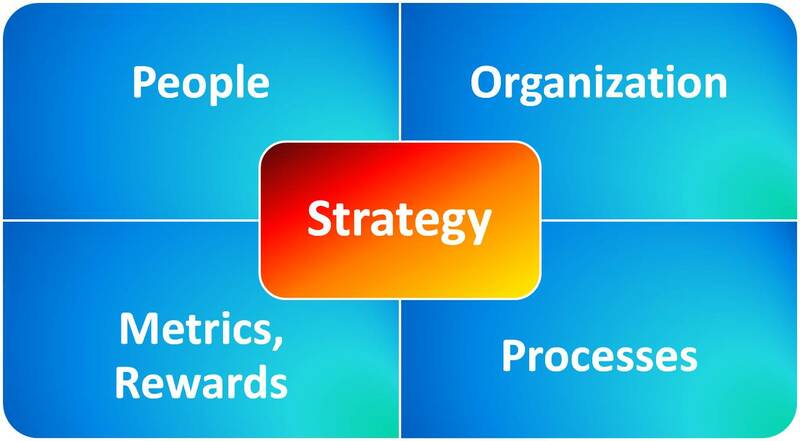 The strategy brings to the point the ERG’s goal and objectives. A well-thought-out value proposition is a foundation for the ERG. For example, NxGen is a forum to develop leadership skills, networking and problem-solving that aims to open up cross-functional/cross-disciplinary opportunities for its active members through strategic business projects with measurable results. As a goal, NxGen aims to become a sounding board for management as a valued business resource. People, active volunteers, are the life-blood of every ERG. Staffing and selection are crucial and continued activities to induce fresh ideas and prevent burn-out of established ERG members. What you are looking for are active volunteers who are passionate and energetic. You want members who become active change agents, role models, within the organization. Value a diverse set of backgrounds and capabilities that can complement another. Rather than trying to recruit new members, focus on how to attract new members to engage and actively participate (in contrast to the ones signing up to receive email updates or a periodic newsletter, which is a passive form of membership). NxGen membership is open to all employees. Making a measurable change in the organization here and now. At NxGen, we see that younger employees (primarily Generation Y also called Millennial, born after 1980) tend to drive the ERG activities most. The explanations I offer is that GenY’ers, in particular, enter the workplace as well-educated professionals, optimistic and motivated to make a difference. GenY was brought up to believe they can achieve anything and are interested to explore lateral career moves. They are used to collaborating in teams to overcome obstacles and network while leveraging technology effectively to this end. At the workplace, GenY typically is not (yet) part of the decision-making bodies due to their junior positions ‑ but they do want to be heard (and should be listed to given their increasing numbers in the demographic shift of the population that has reached the workforce). The ERG acts through business-relevant projects. At NxGen, the member ‘grass-roots’ identify otherwise un-addressed or under-served business needs that the ERG chooses to pursue. Based on a clear value proposition (return-on-investment, ROI) for the organization the ERG seeks executive sponsorship for each project. The executive sponsor ensures strategic alignment with the organization’s goal, expertise in the functional area, political support and funding for the project (since the ERG has no funds of its own). The project scope often lays outside of the immediate job description of the ERG-appointed project leader allowing for broader hands-on learning opportunities. Applying professional project management methods to all projects ensures the projects deliver the specified deliverables. The ERG core team steers and administrates the ERG project portfolio which is documented in an annual business plan and shared publicly. As resources are limited, not all imaginable projects can be conducted at once but are staged. Projects can build upon and leverage each other while making use of synergies whenever possible. In the beginning, it might be challenging to find meaningful projects that make the best use of the ERG’s resources and capabilities with favorable business impact. It takes time and persistence to develop a trustful relationship with executive management and to gain credibility as an ERG to attracts more complex and important projects from management in return. NxGen works and communicates openly, it acts transparently and leverages (social) media to inform and connect with its members and non-members displaying operations and result of the ERG’s work. The NxGen ERG operates within a general framework set by a company’s office to ensure all ERGs abide the company policies. This office also provides an organizational home for ERGs within the company. It generally coordinates and supports the different activities across ERGs and ensures each ERG has a distinguished executive sponsor to connect the ERG with senior management. A charter defines the basic roles and processes of the NxGen ERG in more detail and is posted publicly. A core team of active members guides the ERG activities and ensures ERG operability. The core team is lead by the ERG’s elected chair and co-chair(s); it further comprises the project leaders, distinguished role-holders, and liaisons to key functions in the organization. The core team members support and advise each other. The ERG provides a safe and social environment that relies on trust among the members to connect, to build relationships, to network and to run projects. NxGen actively reaches out to other ERGs, innovative groups within the organization but also other operating units and companies to cooperate, share, benchmark and collaborate on common goals. How do you measure success, i.e. the effectiveness of an ERG? An annual business plan covers the portfolio of ERG projects. It serves as an instrument to measure the ERG performance across all ERG activities that the ERG chair is held accountable for. What are the rewards for active ERG members? Besides the benefits listed in the above section ‘People’, accountability and success for individual members derive from their projects or their input to other ERG activities that all have clear objectives and a success metrics attached. Driving the change and making a difference is a reward in itself. NxGen and individual members received several awards and recognition for their work inside and outside the company which the ERG celebrates in public. Some members list their ERG involvement and experience proudly on their résumé which is an indicator that the ERG’s value proposition is effective for its members, i.e. the members value the ERG membership, projects, recognition and awards as means of their ‘employability’. The business model positions the ERG clearly as a powerful business resource for the organization but it can be even more. The ERG can serve as an ‘innovation incubator’ by combining an attractive system with creative space in an effective governance framework. The processes create measurable value for the individual and the organization that can significantly contribute to process innovation and also drives product innovation. In an empowering bottom-up movement, the ERG directly connects its active members from any level of hierarchy with the decision-makers high up. This bears the potential to cut right through established or perceived boundaries such as hierarchy, bureaucracy, and red-tape or functional silos that may severely limit the effectiveness and innovative effectiveness of other units that were created top-down within the organization. Herein lays the deeper potential of ERGs as a true business resource and going beyond possible self-inflicted limitation to social affinity. ERGs can well be the means that contribute to driving the future success of an organization for an organization that understands and value how ERGs open opportunities to tap into its workforce and unleashes hidden potential. Author Stephan KlaschkaPosted on October 13, 2010 July 13, 2018 Categories Affinity Groups, Diversity, Generations, Human Resources, Innovation, Intrapreneurship, Remote WorkingTags accountability, business focus, business model, business resource, employee engagement, ERG, executive sponsor, GenY, innovation, metrics, organizational effectiveness, project management, project portfolio, projects, recognition, retention, rewards, ROI, strategy, value proposition, workforce8 Comments on Build ERGs as an innovative business resource!